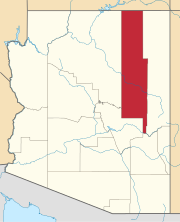 Location of Rainbow City in Navajo County, Arizona. 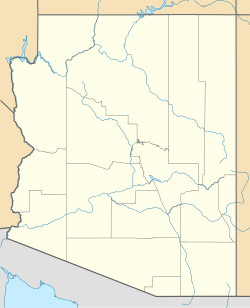 Rainbow City is a census-designated place in Navajo County, in the U.S. state of Arizona. The population was 968 at the 2010 census. As of the census of 2010, there were 968 people, 223 households, and 192 families residing in the CDP. ^ "2010 Census Gazetteer Files - Places: New Mexico". U.S. Census Bureau. Retrieved February 26, 2017. ^ "American FactFinder". United States Census Bureau. Retrieved 2018-10-10. This page was last edited on 13 November 2018, at 19:05 (UTC).